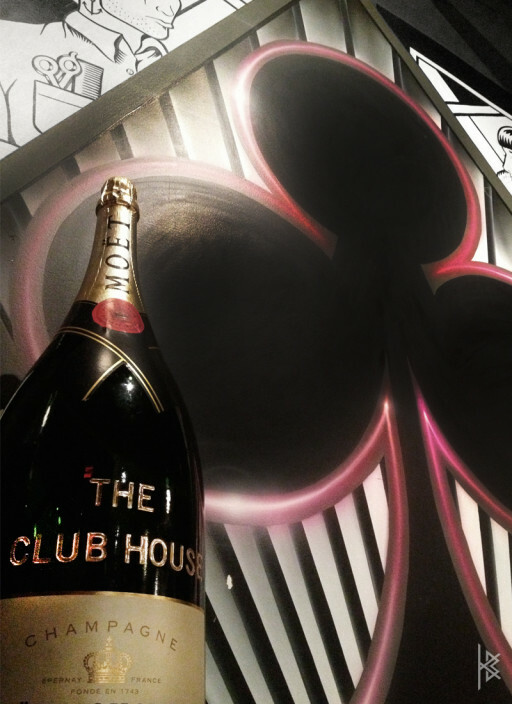 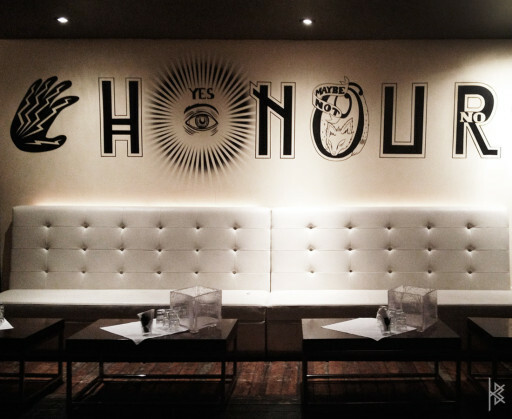 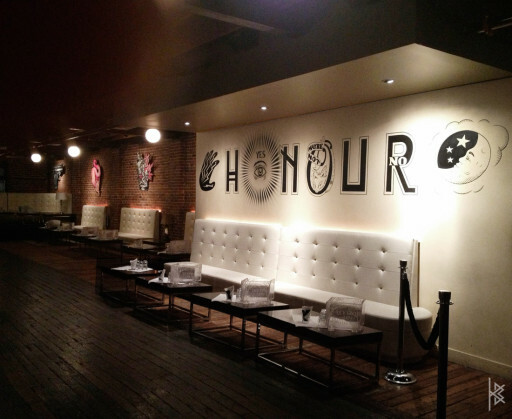 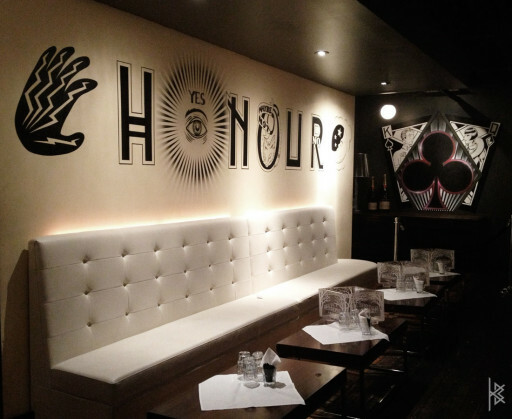 The Clubhouse is a nightclub located at 1232 Rue de la Montagne in Montreal. 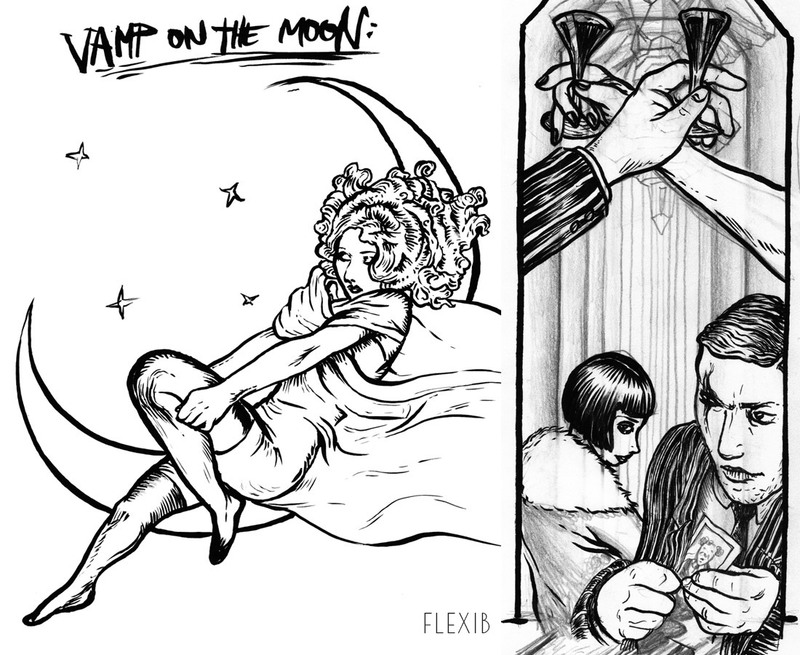 I was hired as the art director and conceived this thematic series of artworks with Jenn Elliot in a very short period of time. 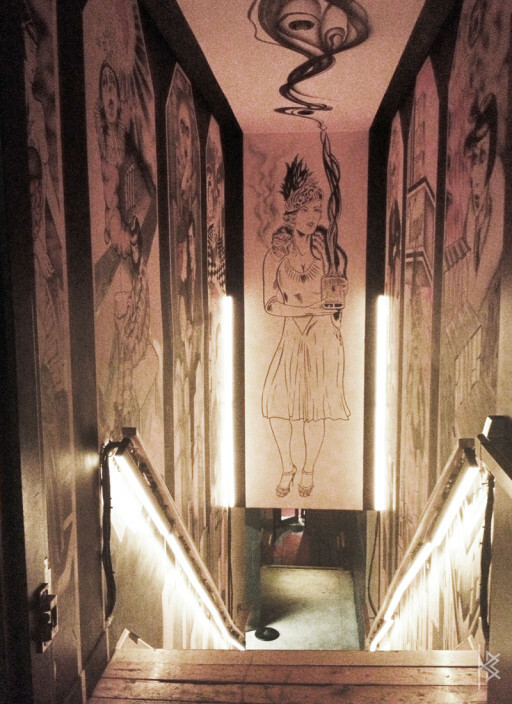 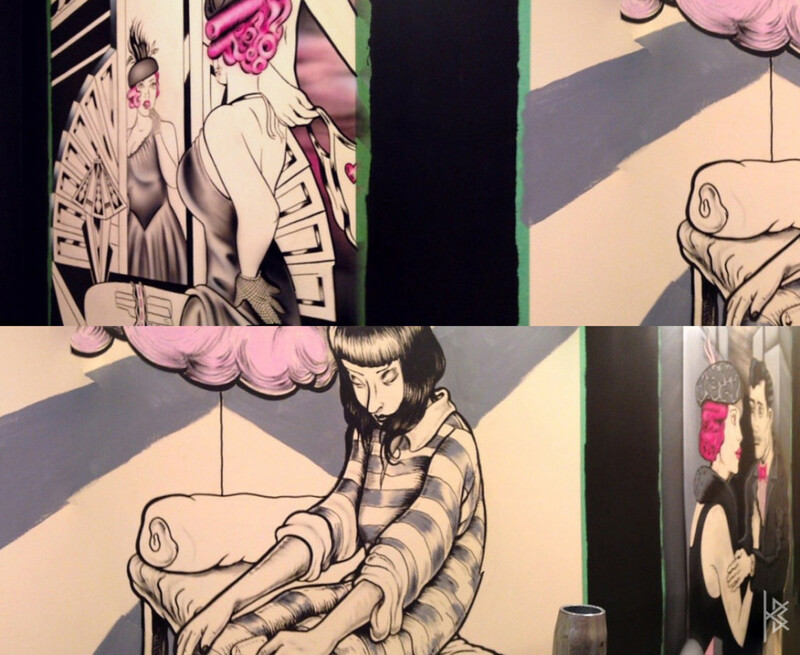 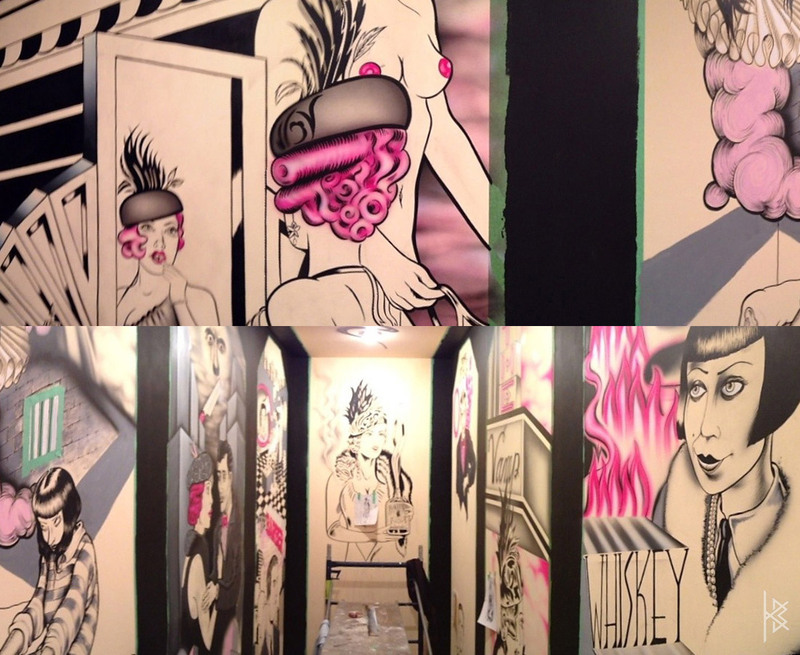 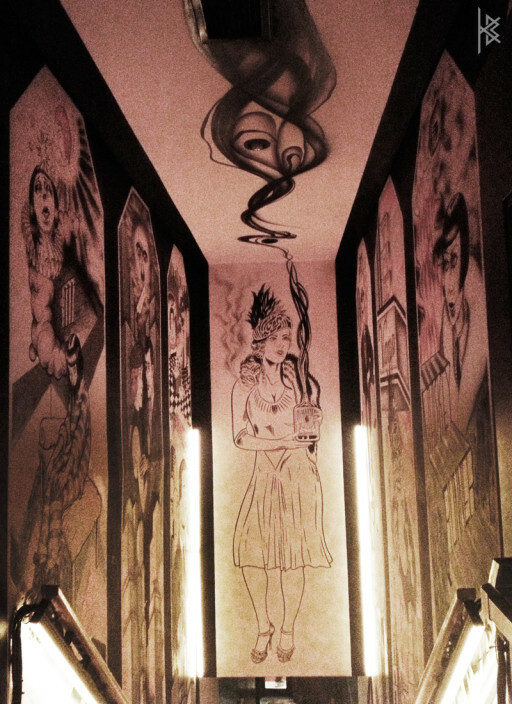 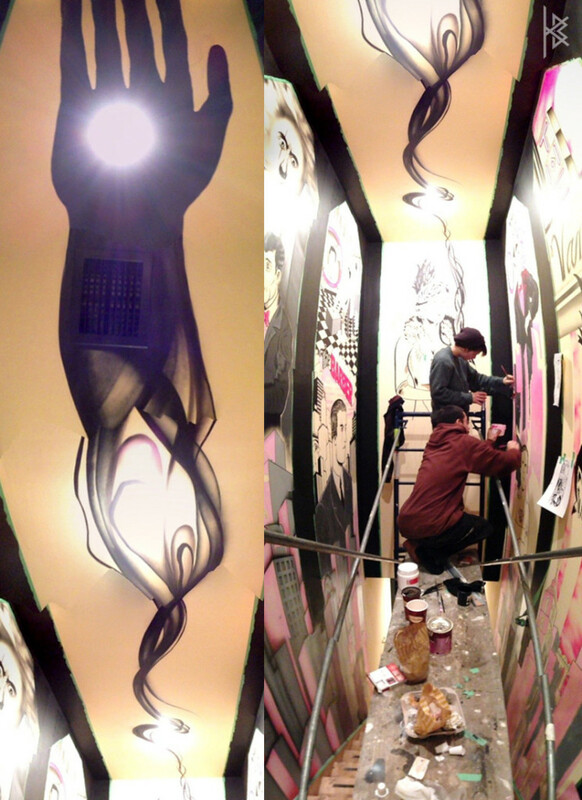 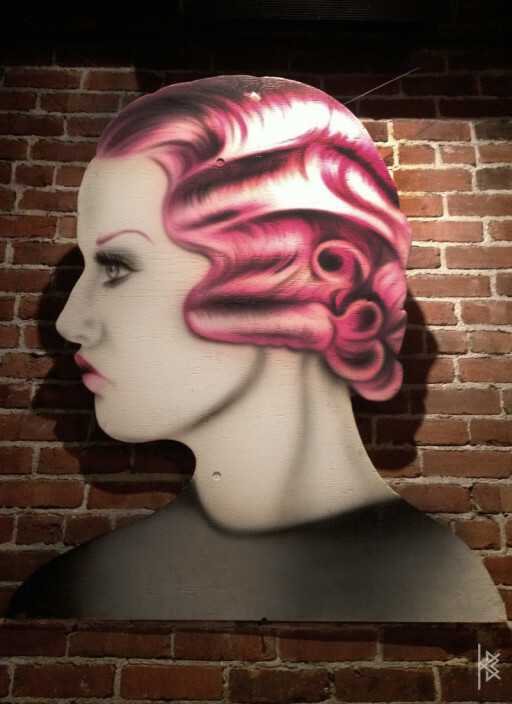 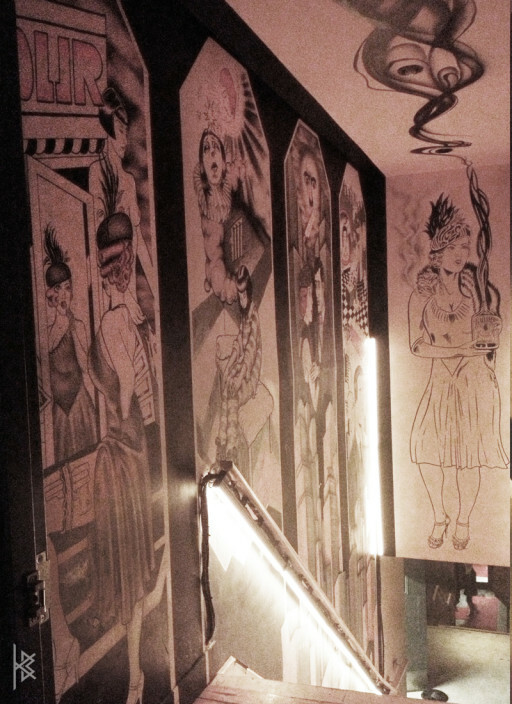 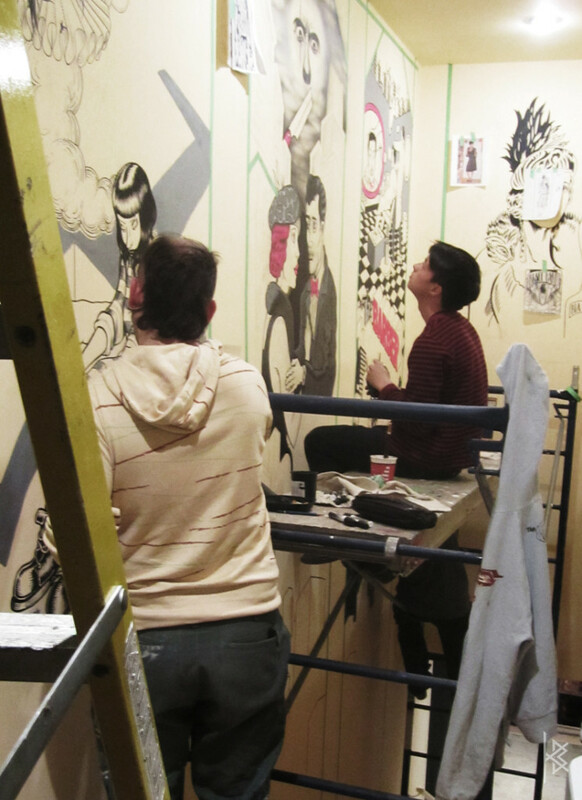 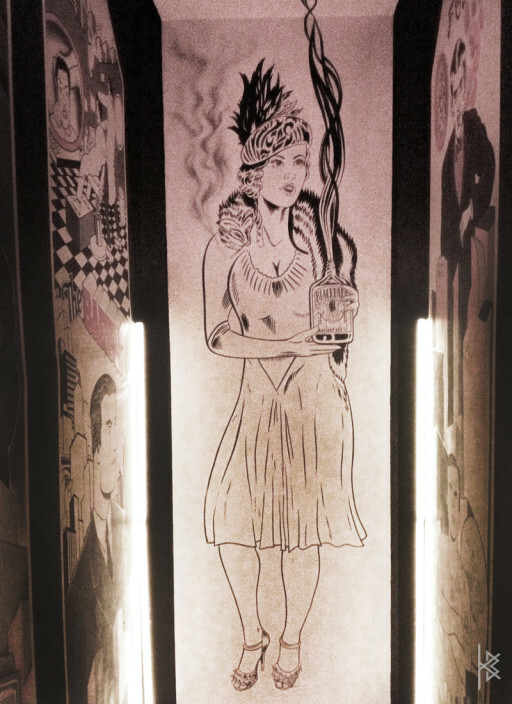 A story is told throughout the space starting with the staircase mural leading up into the mouth of the club. 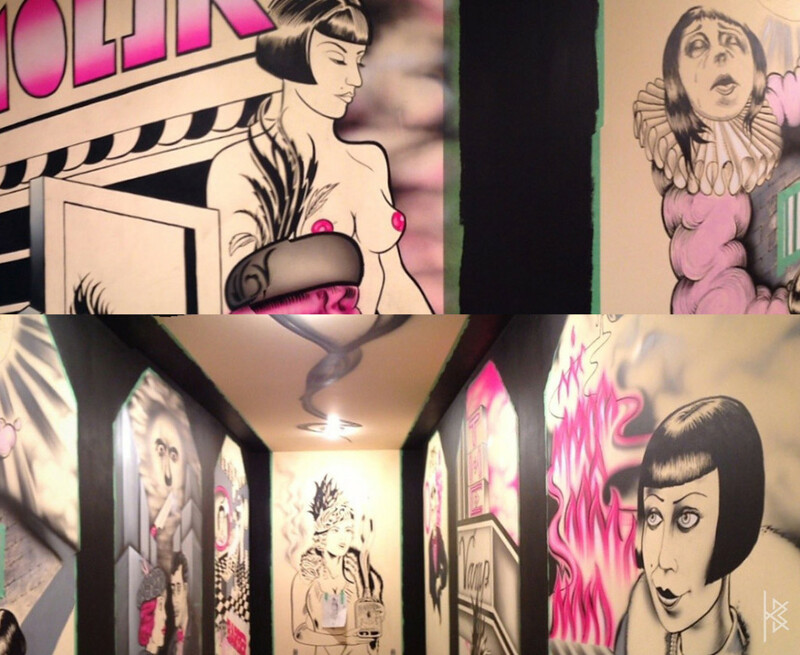 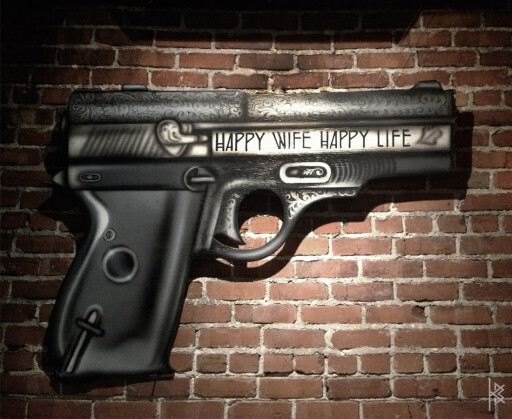 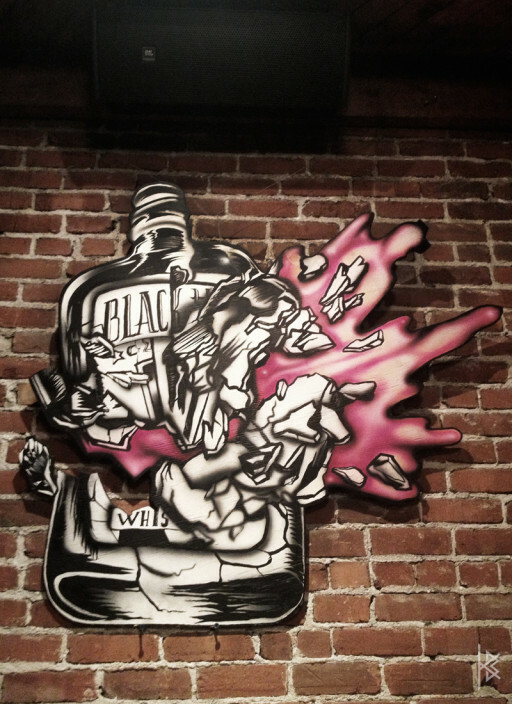 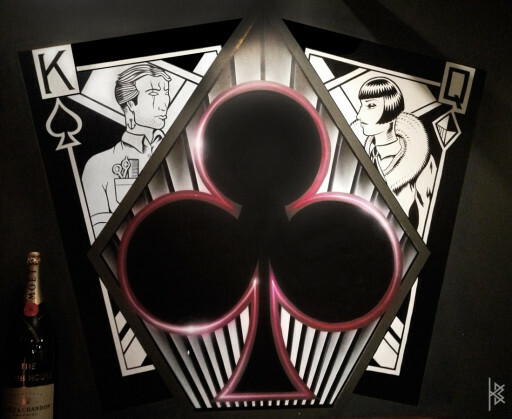 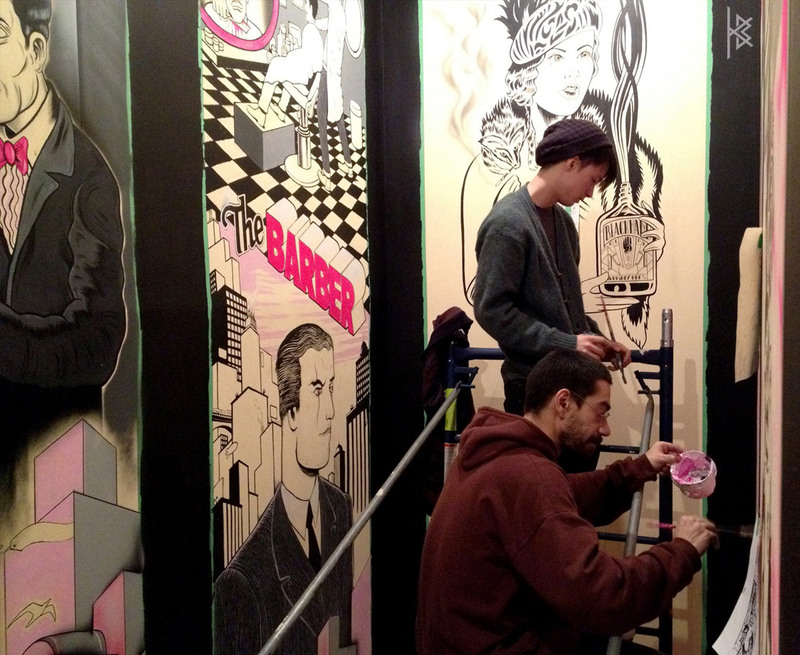 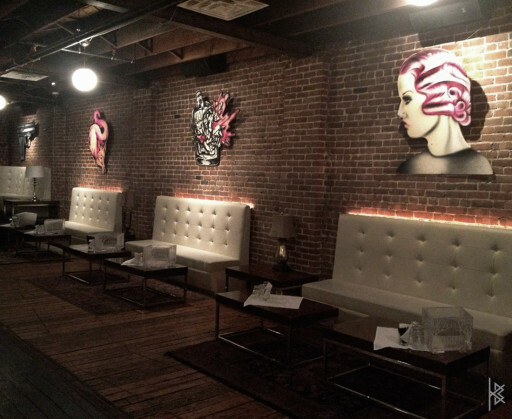 Inside the club you are greeted by 2 large murals followed by a series of die-cut paintings on wood. 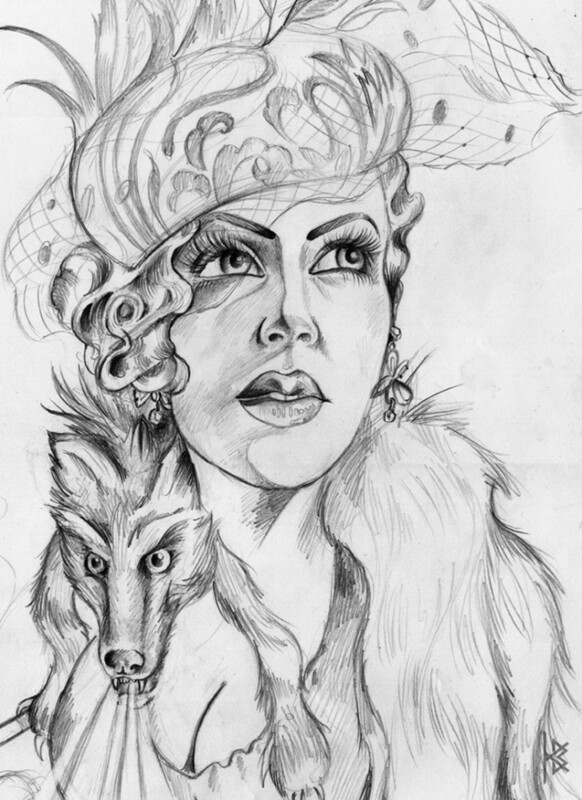 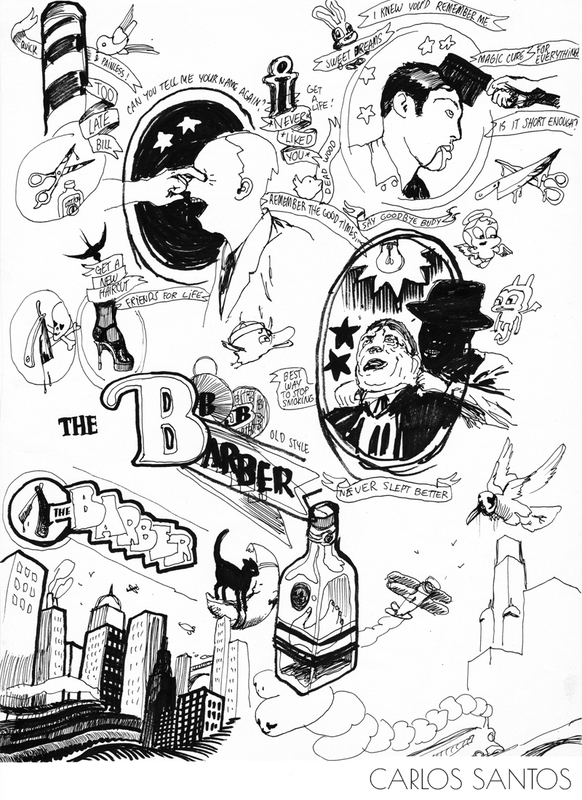 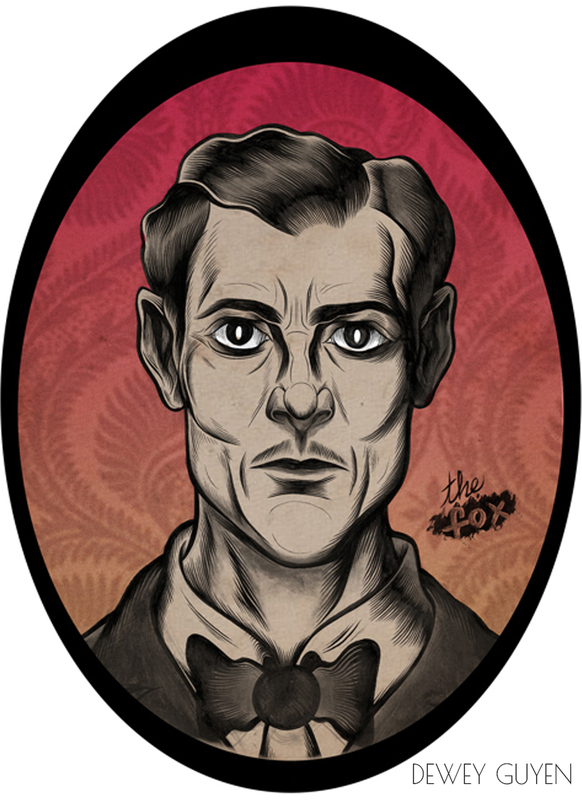 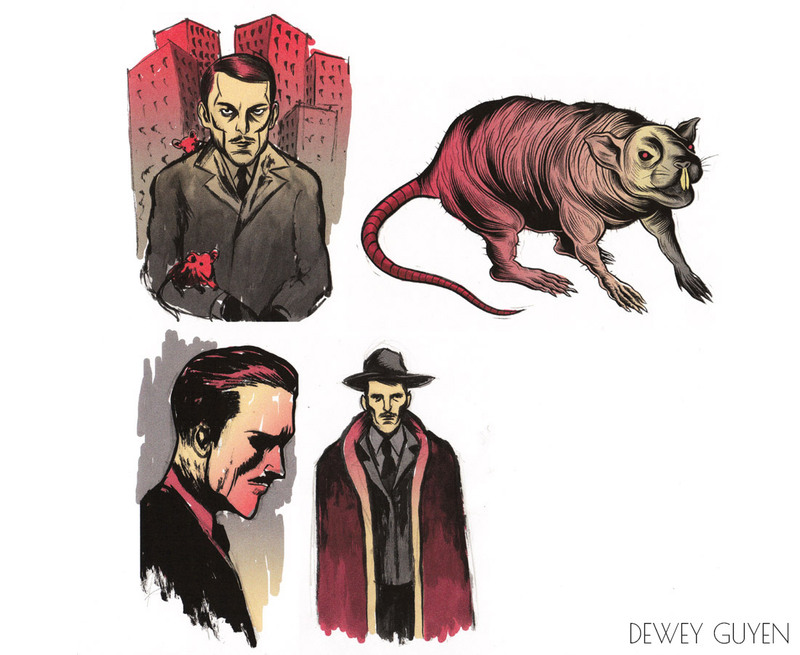 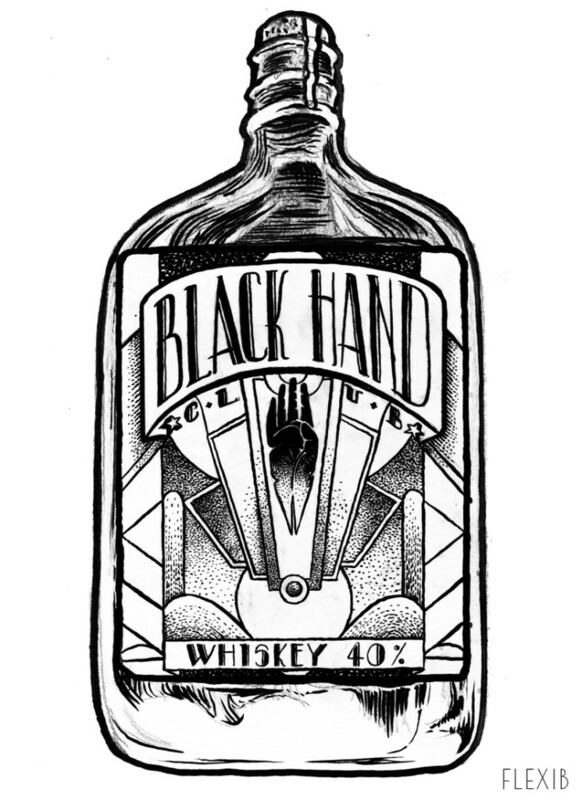 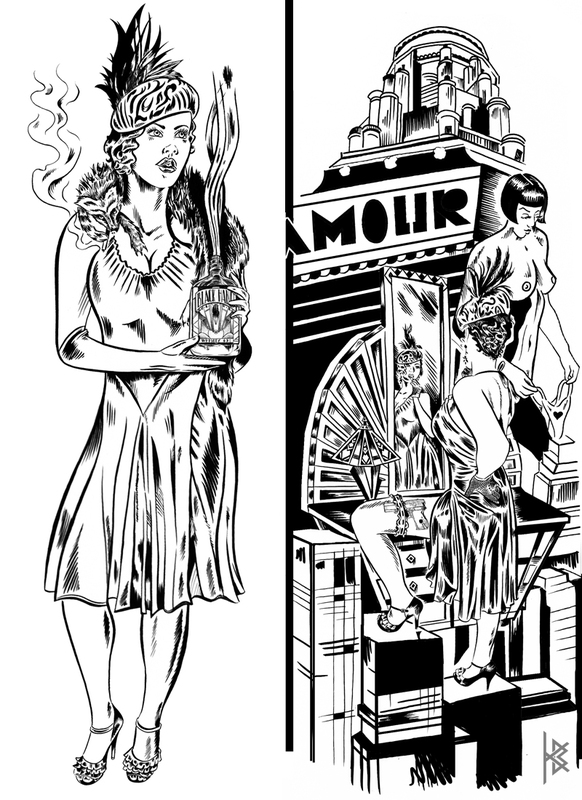 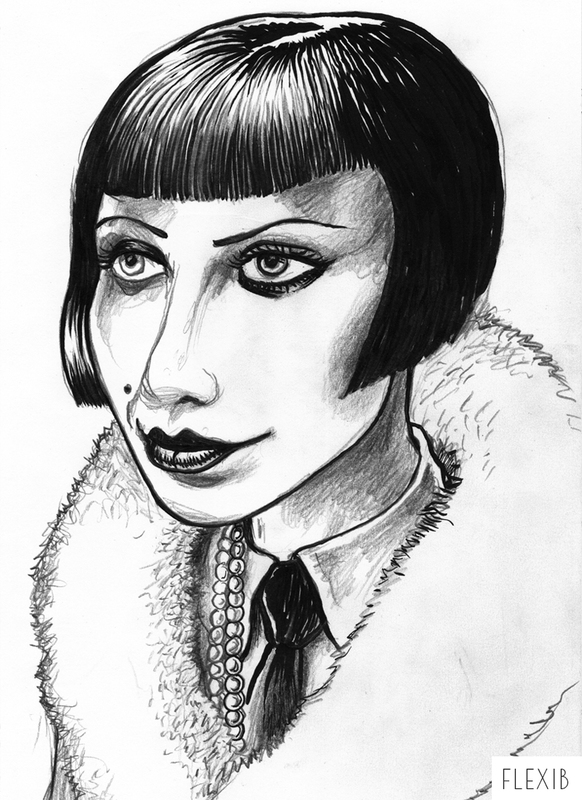 All imagery is inspired by 1930’s Art Deco style, and is rendered in a comic book sensibility. 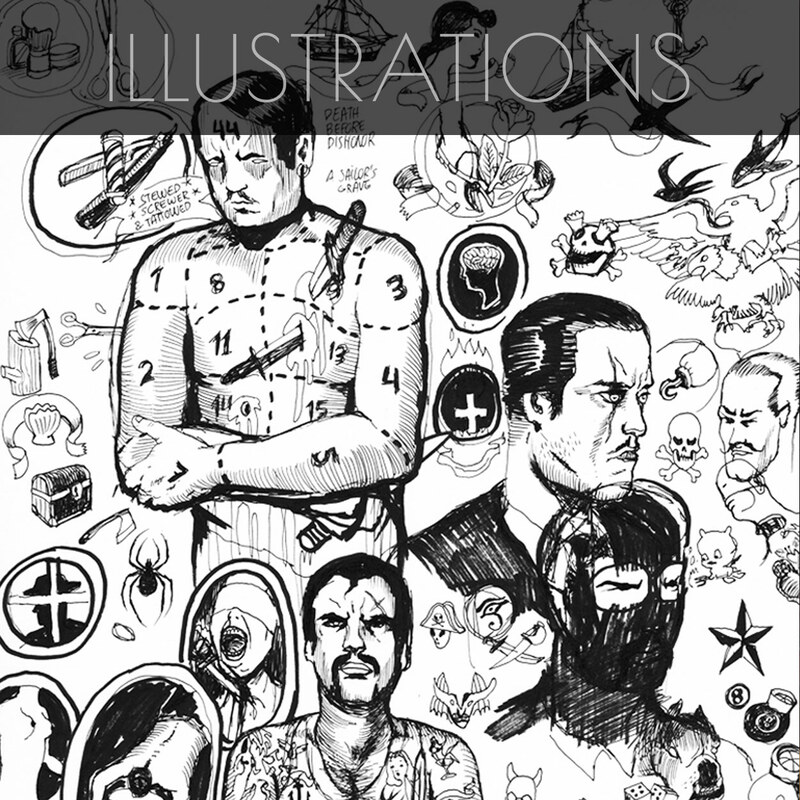 We hired 3 of Montreal’s best illustrators and conceptualized a character for each artist to create using their own respective style. 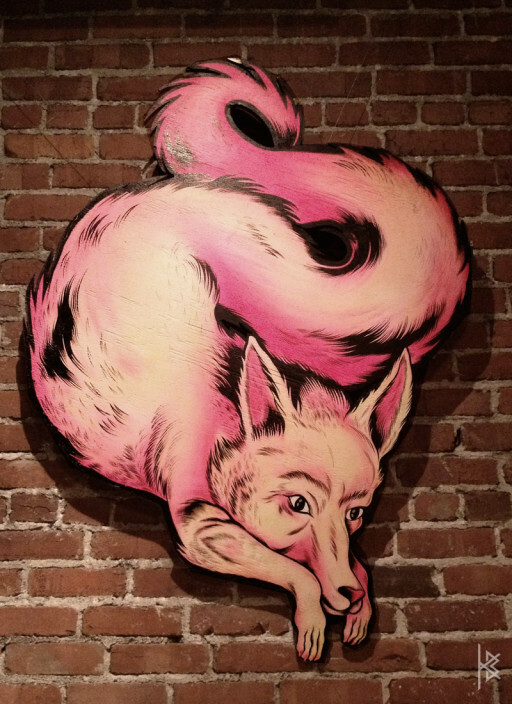 Krista Bursey is The Vamp, Carlos Santos is The Barber, Dewey Ngyen is The Fox and Flexib is The Whisky Runner. 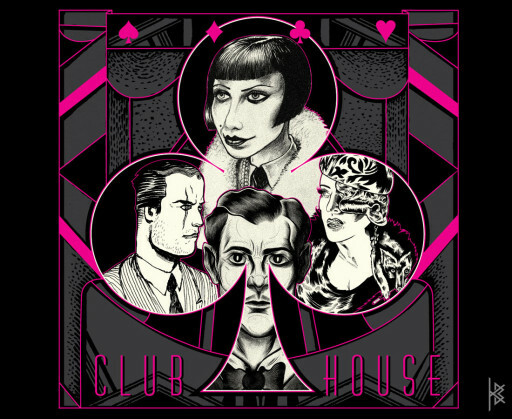 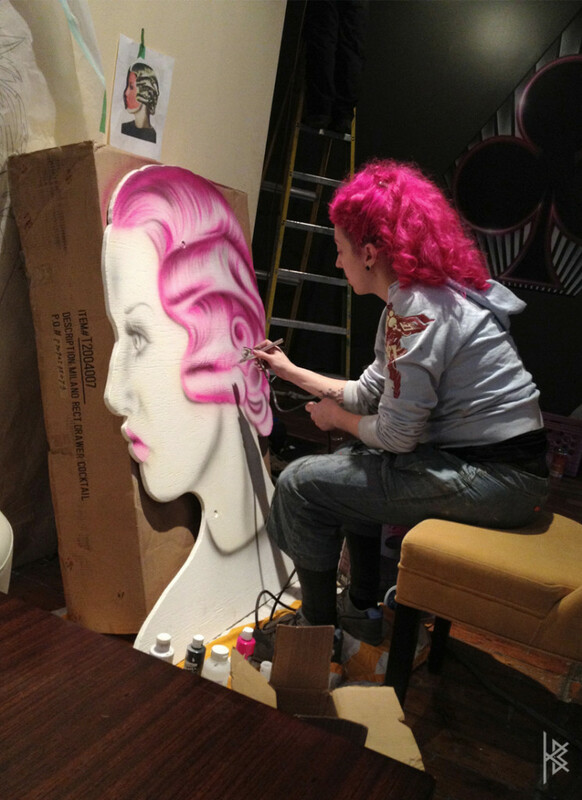 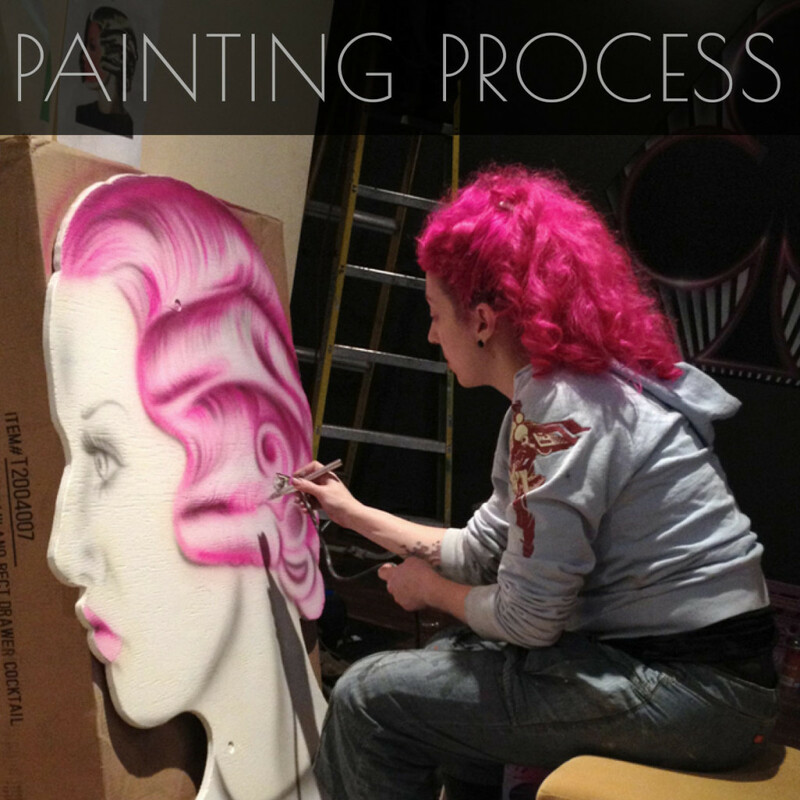 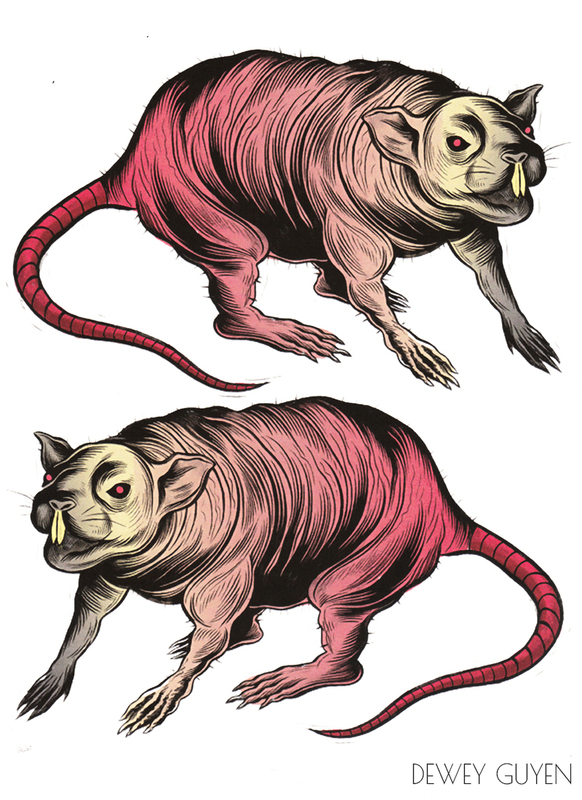 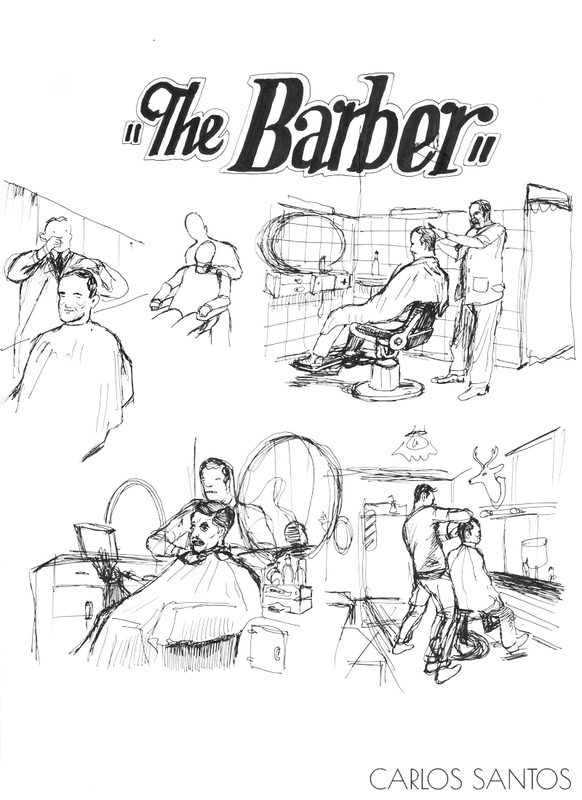 The conception and overall process of The Clubhouse lies in the mastery of the illustrations. 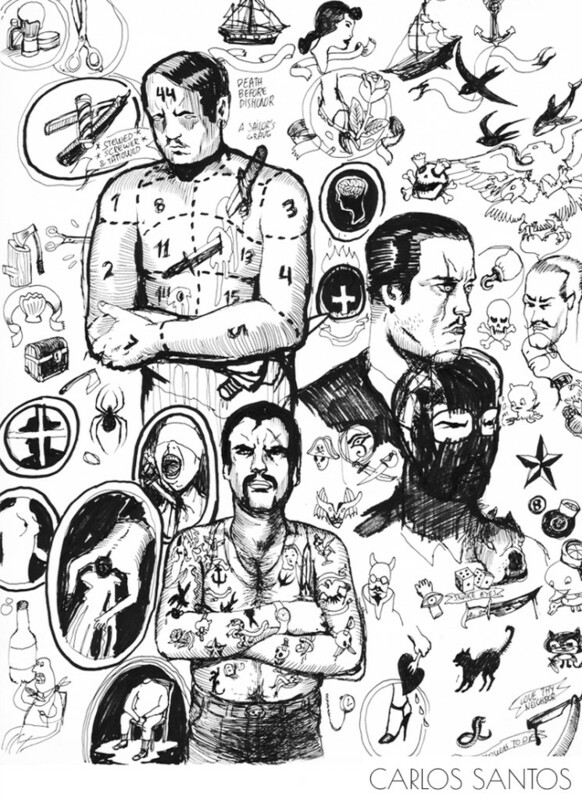 All the drawings are incredibly executed and highlight the style and detail work of each different artist and their respective characters.